Could MCAS Be the Cause of Your Symptoms? You are here: Home / Autoimmunity / Could Mast Cell Activation Syndrome (MCAS) Be the Cause of Your Non-Responsive Symptoms? Simplified Assessment and Treatment Recommendations with Dr. Tania Dempsey. Mast Cell Activation Syndrome (MCAS) is something to consider when you haven’t responded to anything else. Let’s discuss simple methods of treatment and assessment. Specifically a simple questionnaire and a small number of natural or over the counter medications may make a big difference in improving how you feel if you haven’t responded to other treatments you have tried. Dr. Michael Ruscio, DC: Hey, everyone. Welcome to Dr. Ruscio Radio.This is Dr. Ruscio. Today, I am here with Dr. Tania Dempsey. And we are going to be talking about mast cell activation syndrome and its distant cousin potentially, histamine intolerance. And we’ve had a few episodes on this previously. But I’m really excited about this conversation because we have a very skilled and experienced clinician who can give us a good narrative on this issue from an experiential perspective. So Dr. Dempsey, I’m really happy to have you on the show and welcome. Patient is presenting with other issues that are not responding to gut therapies like diet and supplement approach, or lifestyle approach and still appear very sensitive. Patient is very disabled, every organ system seems to be under attack, system is shutting down, could also be just one system that displays severe symptoms. A thorough history is important. MCAS Questionnaire filled out by patient and by doctor. Score between 8-14 = suggestive of MCAS, score above 14 = highly suggestive. Either score indicates you should continue looking for MCAS. In a current study, MCAS patients are experiencing lower symptoms while on this diet. Get help with Mast Cell Activation Syndrome (MCAS). Dr. Tania Dempsey: Thanks for having me. DrMR: Absolutely. Absolutely. Can you tell people just in brief your background and how you got into the focus of MCAS? DrTD: Yeah, so I think it’s an interesting journey that I’ve been on as a physician. I really come from a traditional background. I went to Johns Hopkins Medical School. I went the traditional allopathic route and then really became dissatisfied with what I was doing and how I wasn’t really feeling like I was helping the patients. And so over time, my practice transitioned into a more integrative approach. And I’ll be honest with you. I think that I’ve always been on some level doing integrative medicine. That’s how I think about things. I always question why things happen. I always want to look at the causes. I’ve been doing that before I was even a doctor. But over time, it became clear to me that I was thinking about things in one way but then practicing medicine in another because of the way that medicine is taught and the way we were made to practice. You have to follow the rules. You have to follow algorithms and things like that. And over time, it was getting very frustrating because I couldn’t really do what I wanted to do. And so I realized that I was really very interested in integrative medicine and took that route into that functional medicine/integrative world. And I started my practice, Armonk Integrative Medicine, in 2011. And my whole thing was about I really wanted to treat the patient. I wanted to provide personalized care. And I wanted to help patients understand why they’re sick. And over time in the first few years of practice, I was helping patients, learning more and more about how to work patients up for various disorders. And I had a patient who was really a tough case. And I know your audience will understand that there are lots of us that treat patients who are really sick and no one can figure out what’s going on. And I had such a patient who was a really great partner with me. And I always emphasize a partnership with my patients. And we tried to explore all the different things that had been going on, trying to figure out why she was going down a path. And we couldn’t figure out where that path was leading and why it was going that direction. And so we started exploring different things. And she was having a variety of different symptoms that at the time were considered, I guess, weird, a little bit unusual. But now I know that it’s not unusual. And I have many patients with the same. But she would be very reactive to various antibiotics. She had a whole list of things that she knew she couldn’t take as far as medications. She knows that she had tried some herbs and had difficulties with that. She was having these episodes of what she called asthma. But it didn’t meet the criteria for asthma, according to a pulmonologist. So we knew there were some breathing issues. She was having a lot of digestive issues and bloating and diarrhea. And so we knew that there were a lot of things going on. And in the integrative/functional medicine world, we would look at leaky gut. And we would look at inflammation. And so we were doing all those things. But we weren’t really getting anywhere. And I had been doing some research. And I had come across an article about this condition called mast cell activation syndrome. And I got chills reading it. And I thought, “I think this is it.” And this was probably about four or five years ago at this point. And it was just really starting to gain some ground. People were starting to talk about it. But it was still very limited information that we had. And I told her what I was thinking. And she, through some connections, found that Dr. Lawrence Afrin was the world’s expert in this condition. And she asked if I would reach out to him and talk to him and see what he thinks. And so we started a dialogue. And I learned a tremendous amount from him. And he subsequently joined my practice about a year ago. So it’s been amazing working with him. But I learned a lot from him. And then I started doing my own research. And sure enough, no question about it, she had that condition, mast cell activation syndrome. And it really just takes that one patient for you to realize that this is bigger than you can imagine. This is not one patient. I probably have a whole clinic of patients just like this who are getting better with a lot of the things that we’re doing to support their immune system and to help their diet. And we’re doing all the things that we should be doing. But we’re still missing something. This is probably what was affecting them. And so I started, one by one, reevaluating a lot of these patients and realizing that, in fact, probably 80 to 90% of my patients have this condition. And then that was all it took. So four years later, it’s a big part of my practice. And I work towards learning more about it, researching. And Dr. Afrin and I have some initiatives that we’re hoping will help lots of patients in the future. So that’s my background. DrMR: All right. Well, it’s a good background. And it’s interesting to see how we end up in different clinical niches based upon the patient populations that we’re trying to serve. And I love the fact that you kept digging and looking for a deeper answer. And that’s a nice transition to—as we start into this discussion, I think patients and clinicians alike are trying to answer the question in their own heads. How do I know if this is me or if this is a patient that I’m working with? And part of what I look at is this spectrum I have in my head. Whether or not it’s very logical or able to be substantiated or not I guess is another conversation. But the syndrome of histamine intolerance seems to have some commonality with mast cell activation syndrome. And it does seem that some of these histamine-like symptoms that are multi-system presentations, like there is in mast cell activation syndrome, can be very well managed, as you alluded to, especially with dietary and gut based therapies. But they don’t work well for everyone. And so there are some people who seem to just not really respond fully to inventions that for other people would be totally sufficient to obtain the level of improvement that we’re looking for. So do you see that kind of spectrum in your head? And do you have any, I guess, thoughts from that big picture of trying to ascertain when someone may be able to ameliorate their symptoms with more basic therapies and when they need to consider looking at MCAS specifically? DrTD: Yeah, it’s interesting because before I wound up in the mast cell world, my interest was in histamine intolerance methylation disorders. And those two are also very closely linked. So initially, before I understand that it was bigger than that, I was treating a lot of these histamine issues through supporting methylation, supporting the gut. Those are the ways you deal with histamine primarily. And then realized that there’s more. But I think that you make a good point about this. I think about this, too. This is definitely a spectrum illness. There are people who are walking around with histamine issues, mast cell activation syndrome, who are really not affected by it in any meaningful way. Maybe on occasion, they’ll have a symptom that they have to deal with. But generally speaking, it’s treatable and it’s fleeting. That’s one end of the spectrum. And then as you go down, then you have patients who know that there are specific foods that are high in histamine or that liberate histamine that they react to. And so for them, it’s very clear. As long as they avoid those foods—and I’ll throw in that bucket alcohol and things like that that are also high in histamine. They know that. And they try to avoid it. And as long as they do, they’re pretty good. And when they don’t, they know what to expect. And then as you move along, you have the patients who know that part of it. For some reason, there are other illnesses or conditions that are presenting themselves that are not ameliorated with a dietary approach or a supplement approach or lifestyle approach. There’s something else going on. And then way at the other end of the spectrum are the patients who are very, very disabled from this condition. It has attacked every organ system in a sense. And their system is shutting down. And those are the ones that you need to hit it from all angles. There’s no question. You’re not going to move this. You have to stabilize the mast cells. You’ve got to decrease the histamine levels. And you’ve got to dig to the root cause. And you’ve got to figure out why they are in that situation. Why has their body broken down to that level? And so yeah, I can intervene at any of those points, depending on the patient. So a lot of it is clinical judgment. You know when a patient walks in if this is going to be a case where you might be able to get a handle on it and the cases that are obviously going to be more complex. So the diet piece I want to make a point about because I definitely talk about histamine and histamine foods and histamine-releasing foods in my clinic. And we give them different lists of what they should consider avoiding. But what I have found is that it’s not so much about those lists. There are some obvious things that will affect most people with histamine issues. However, there are idiosyncratic things that happen in the body that are not necessarily flamed by the food. So there are patients who, for instance, eat avocados. Avocados, we’ve heard, are high in histamine. But I have plenty of mast cell patients or histamine-intolerant patients who eat avocados every day and don’t have an issue with that. So a lot of it is this trial and error with patients and understanding what it really is about them that is causing their issues. DrMR: Sure. I think that’s well said. And one of the things I advise my patients on when they’re doing a low histamine diet is this is something that we’ll use a bit strictly in the short term. But then we want to try to broaden your boundaries because it’s not to say that you will be intolerant to every low histamine food on the list. We want to simply use that as a starting point to contract to and then try to expand to identify what your, hopefully, only handful of trigger foods are. And you also make a great point, which is making that clinical adjudication of when someone will be able to see the response they’re looking for with some of these more preliminary therapies, we could term them, and when would be the appropriate time to look more to MCAS directly. And I’m wondering what tools, signs, symptoms, or indicators you use in helping to make that judgment. Now, of course, there are some, I think, simple basics. People who are otherwise fairly recalcitrant to other therapies and people who tend to be very sensitive. Those would be, I think, some common giveaways. And I’ve heard from, I believe it was Dr. Carnahan who said that the two most common symptoms that seem to be affected by this are neurological and dermatological—so brain fog or mood and potentially skin rashes or lesions or hives or flushing. But what would you add to the picture of trying to help people look for some of these indicators that MCAS directly may be something that they should consider? DrTD: Yeah, so number one, when I see a patient in the office and I’m starting my history, some of them come to me with a thought that someone has mentioned it to them or they read about it. So they want to know if they have mast cell activation syndrome specifically. But most patients are coming to me because they have been to 50 other doctors. And no one else can figure it out. And so they want somebody to help them put the picture together. And so I’m always going to start at the beginning. And I have all my patients begin their history at birth and even in utero. So I want to know what their mother was going through when she was pregnant with the patient and what happened at the birth and what happened after. And we go all the way to the present. And I start to see trends amongst patients with mast cell activation syndrome. Very often, there are very early signs in childhood that they may be more reactive. And so it’s not uncommon to hear the history of eczema, history of rashes or hives, a history of allergic reactions to certain medications. And that may be early on in childhood. There often is a family history. We’re going through the family history, too. And it’s not uncommon to see others in the family who have similar symptoms at some point in their lives. And then I’m doing a really thorough review of systems. And we’re going from head to toe. And the one thing I’ve learned about mast cell activation syndrome is it can hit every system. So yes, I think that Dr. Carnahan is right. Neurologically. Probably the underappreciated cause of neuropyschiatric disease is mast cell activation syndrome. So you do need to think about it. And definitely the skin is obvious because you can see it. But I want to make sure that we understand that there are patients who come to me who do not get rashes. They do not have any skin manifestations at all. I still have to think about this because it affects, again, the gut, the respiratory tract, the cardiovascular system. It affects the liver. It affects the muscles, the joints, the bladder, the urogenital tract. So there are so many things—hormones and endocrine system. And so what I do is I start to understand that the more systems that are involved, the more likely they are to have mast cell activation syndrome. So the patient just has hives and rashes and that’s it. They have no other symptoms. They have no GI symptoms. They have no respiratory symptoms. They probably have some reactive mast cells because that’s what causes hives and rashes. But they probably don’t have the full spectrum of the syndrome. And most people with the syndrome do have multiple—it’s a multi-system disorder really. And that, I think, is important. And I’ve gotten to the point where I pretty much screen. I screen all my patients now who walk in the door, especially if they don’t know what they have and I’m working them up from the beginning. I’m going to screen them for this, not just with my history taking. But I’m also going to do extensive testing because if this is a part of the whole picture but not the whole picture, I’m going to want to treat this piece because once I identify this and treat it, it makes such a difference in treating the rest of the issues that they may be dealing with. So I have to identify it. There are very specific blood tests that can be done pretty routinely through regular labs. There are some urine tests, both random urine and 24-hour urine collections. And then in addition, there are some ways to identify mast cells in biopsies. So with patients who’ve had an endoscopy or a colonoscopy or skin biopsy, they’ve had something, some tissue. We can stain it and look for mast cells. So that’s pretty much how I’m going to go about the workup. And the blood work, for simplicity’s sake, there are really three main tests. There are more, of course. But there are three main ones that I could just use as a screening tool. Histamine, chromogranin-A level, and a tryptase level. And Dr. Afrin and I have gone over the criteria for diagnosis. And really, if you have two positive markers, two positive what we call mediators from the mast cell, that pretty much supports the diagnosis. DrMR: Okay. I’m glad to hear the three component initial screen model because I’ve also looked at the more in depth model. And I believe that comes to about 24 different markers that you would need to go to three or four labs to acquire. And if there’s a need for that, I’m supportive. But it’s nice if a clinician has a starting point at least. And I know that the chromogranin-A is available from LabCorp as is the histamine. And this is the histamine determination in the plasma. Is that specifically the marker? Yup, all right. Good. And I’m just looking at my sheet here now. And the prostaglandin is also available via LabCorp. So the initial screening could exclusively be done via LabCorp, right? DrMR: Nice. Oh, I’m sorry. The third marker you said was tryptase. Not the prostaglandin. I’m sorry. DrTD: The tryptase. There’s a little bit of a debate out there regarding the tryptase level. And I’ve started to see. And it may even be controversial for me to comment on it. But I will make a comment because I think it’s important because I know there are a lot of patients out there who are really dissatisfied with the fact that they can’t make a diagnosis in them. And they still don’t know what’s going on. So there is one school in the mast cell world where they believe that you need the tryptase for the diagnosis of mast cell activation syndrome. And then there’s the other school which is sort of where Dr. Afrin and I live. And we believe that the tryptase is not critical for the diagnosis. And tryptase is an interesting thing. Tryptase is an enzyme that’s constituitively expressed by all mast cells. And so there’s a condition known as mastocytosis. Mastocytosis is actually like a cancer. It’s an increased number of mast cells that build up either in certain organ systems or in the skin. And in that case, these people have lots of mast cells. And so they will have lots of tryptase. And if you check their tryptase in their blood, they will have elevated levels. In patients who have mast cell activation syndrome, they don’t have more mast cells. They actually have the same number of mast cells they should. They’re just more reactive. And they’re inappropriately reactive. So they don’t necessarily have higher levels of tryptase in their blood. What they have is often normal or low levels of tryptase in their blood. But they may have other markers to help support the diagnosis. So I do screen everybody with a tryptase because I think it’s important. If you get it, then at a certain level it may suggest the MCAS diagnosis, or it can suggest mastocytosis. And that sends them in a little different direction for workup. But the point I want to make is that I think it’s important that we look clinically. We look at the other markers to help us with the diagnosis. I’ll make one more point because you mentioned briefly a questionnaire. There are other tools you can use to help with the diagnosis of mast cell activation syndrome. And in our clinic, we do have every single patient fill out the questionnaire. And whatever they can’t fill out, we fill out with them, the rest, because some of it is a little bit more complex and more physician lingo than patient lingo. But we’re doing that because we’re using that questionnaire not just to help us with diagnosing the patient but more for research purposes because the key is really that we need to understand more about this disease. We really don’t. The more we know, the less we know. So we do need to continue furthering our education on this and furthering the research on this to help more patients. And so I think that questionnaire is really where that comes in. DrMR: And with that questionnaire—and correct me if I’m wrong in the numbers. But I believe it’s a high probability of MCAS if the score is above 14, and then between 10 and 14, it’s suggested. Am I right in my numbers? DrMR: Let’s say there’s a clinician who is new to this. And they’re trying to make the discrimination as to whether or not they should refer to an MCAS specialist or even tinker with some of the MCAS treatments. Would you say looking at that questionnaire, is it fairly accurate? If someone scores above 14, would you say it’s a fairly good maneuver to consider MCAS therapies? And if someone is below 10, then they may want to look elsewhere? Or does it not have that high of a correlation? How would you comment on that? DrTD: So I think, in my experience, I would say that if the score is high enough, then the likelihood is increased. And they need a full workup. And these are the patients that, let’s just say, on the first round of testing—we put them through blood. We put them urine, let’s say. And we don’t get an answer. But on the scoring system and their clinical history, it just seems impossible that they don’t have this. Sometimes, it will take two or three rounds or maybe more till we can find the level that’s elevated. And the reason that is, is because these things that we’re measuring, they’re the mediators. They’re the chemicals basically found in the mast cell that are released. And so, number one, you could catch it on a day when the mast cells are actually calmer and are not releasing those chemicals. It could be that those chemicals, we know actually, are very heat sensitive. And so everything needs to be kept cold. And so if the littlest of the sample gets a little warm, it will degrade. And so then you might not get it. So I would say that you use that scoring system as a way to justify continuing to look for this. Now, on the flipside, if the level is low on the scoring system—let’s say they score 5—and you’re thinking, “Well, there are some pieces of this that do sound like mast cell. But yet, they’re scores are fairly low.” Then I would say I think it’s still worth it. I’m going to still screen them because I just know in my patient population how common this is. And I would say that in my experience one of the things that seems to mimic some of the symptoms of mast cell activation syndrome is Lyme disease. And now, Lyme disease can cause mast cell activation syndrome. And any infection actually can do that, environmental exposures. There are various things that kick up the mast cells for them to react. But there are patients who have Lyme disease who do not have MCAS. But yet, they definitely have some overlap in the symptomatology. DrMR: Yep. No, that makes complete sense. And that’s actually very helpful to at least have the questionnaire partially guide where to investigate because I think as clinicians we’re all trying to make sure that we bark up the right tree as much as possible and bark up the wrong tree as little as possible. And so whatever we have to guide along that process, I think, is very helpful. DrMR: One question I wanted to ask you from earlier. If you see only one system of symptomatic presentation, would you write off the possibility of MCAS? So for example, only gastrointestinal or only neurological. DrTD: No, I still wouldn’t. And especially neurological because what’s interesting about the nervous system is that the neurons, all the—basically I think of them as wires in our body, in the nervous system—those wires are surrounded by mast cells. The mast cells protect the nervous system from things that are bad, those pathogens that could come in, bacteria, fungus, parasites, or toxins. And so they’re there waiting to defend the nerves. And in cases where we see neurologic sequelae that look like depression, anxiety, neuropathies, OCD behaviors—there are a variety of them that you could get—I still think you need to keep this on the radar. I think you need to look because, again, in my experience it’s unusual for a patient that I’m seeing to have only one system involved. And so they may come in, let’s say, with the history of their anxiety. And they want to get their anxiety under control. That’s how they start. “Nothing. Nothing.” Sometimes, they’ll say they don’t have any other symptoms. And yet when you start digging, they’ll reveal them. DrMR: Yeah, you have to probe. DrTD: Yeah, they don’t think about constipation as an issue. Or they don’t think about subtle symptoms that, I guess, they’ve lived with for a long time that are really, truly their norm. But it’s not really normal. DrMR: Yeah. Yeah, I think that makes complete sense because you’re right. And constipation is a good example of that. Some people go to the bathroom twice a week. And they think that that’s normal. And there’s some debate as to whether or not that is or is not normal. But just as a general example, they may not even mention that because they’ve come to think of that as normal. Or they’re just so habituated to they don’t even think of that as a symptoms anymore. DrMR: Now, you also mentioned methylation and histamine. And the methylation support may be something that’s more unique to histamine intolerance than it is MCAS, per se. But I’m wondering, in your delving in that realm, are there any key takeaways that you would offer patients to consider regarding facilitating methylation as a potential initial level therapy? DrTD: Well, I think that this may be old news. But I do like to screen all my patients for the MTHFR mutation. That’s the methyl tetrahydrofolate reductase that affects folic acid and vitamin B12 metabolism. That’s a basic that affects methylation. It’s one of many, many genes involved in methylation. So it almost feels a little bit like just looking at one thing is probably not going to be enough. But it does give me a little glimpse into the fact that there are patients who are going to have maybe a little bit more difficult time with methylation if they have one of the two mutations or polymorphisms that are associated with that. So I like to screen it. I’ll do a homocysteine level which will give me a good sense also of their methylation potential. And then I’ll look at supporting them with supplementation. There’s no question that my mast cell patients are more sensitive to supplements. And they’re very sensitive to the fillers. And so whereas another patient could walk out of my clinic on methylcobalamin B12, methyl folate. I can put them on a fish oil and probiotic. And I can give them my basic regimen. And they’ll be fine. These patients, everything has to be started one at a time. I need to eliminate any fillers that may be an issue for them, although we may not know for that patient what the filler is that’s a problem. And sometimes, methylating them, while they need it, can sometimes overactivate the mast cells. And so it’s a little bit more challenging. But on the other hand, when you enter this piece of it to their treatment plan, it can make a big difference. It’s just about you have to be very patient and do it low and slow. But adding B12 to somebody who is fatigued because of their MCAS and they’re not detoxing well and there are all these other symptoms can be really helpful. DrMR: Now, with the supplements, is there a certain line of supplements that you find to be MCAS friendly? Or is it just very individual from filler to filler, from supplement to supplement? DrTD: Yeah, unfortunately, it is. I manufacture a lot of my supplements because I’m always looking for the purest and the supplements with the least amount of fillers. But even still, sometimes we have to compound certain nutrients or certain—for medications for sure, although sometimes we have to go that route where there is almost no filler in anything so we eliminate that possibility and hope that the pure form of whatever we’re giving them is going to be tolerated. So yeah, it’s not always that obvious. Each patient does seem to be very, very different. DrMR: Okay. Now, let’s discuss treatment. And I know there are probably a few ways that we can go here. But maybe we can start with the, for lack of a better term, least invasive/most common treatments that you find helpful and then work our way up. And the first one I just wanted to ask you about was time-release vitamin C. Vitamin C can be helpful. But the one thing that I’ve noticed, especially with histamine intolerant patients, is they tend toward diarrhea. And so vitamin C might be a problem because it’s also a laxative. And I’ve just started experimenting with time-released vitamin C. And I’m hoping that not only will that have a more consistent effect on histamine in the mast cells, but it will not cause the diarrheal-type reaction. But I haven’t been using this long enough to be able to comment. And I’m curious to get your thoughts. DrTD: When you say time-release, I just want to clarify. Are you talking about…? DrTD: Sustained, yeah. Okay. Where they put a filler in to make it go in slower basically. DrTD: Or even like an ester-C. That might be time released. That’s kind of what you’re talking about. DrMR: Exactly. And I just came across this in one of Afrin’s papers probably two or three months ago. And I found I believe it’s a sustained release from Now brand. And I’m not sure if the mechanism is some type of coating or some type of filler. And you probably know more about this than I do. But yeah, please illuminate me on whatever thoughts you have here. DrTD: Yeah, so the truth is that I’ve not specifically seen sustained release necessarily be better. Again, it’s going to be an individual thing. What I have found in a number of patients is that giving small doses of even the immediate release throughout the day, maybe every few hours, especially if I’m using that to control their histamine, can be very, very helpful. And so if they develop diarrhea, then clearly that’s too much for them. And sometimes, that is a good symptom to rely on because you’ll know that that’s just too much. And you back off. But I have a patient right now that we’re treating like this who really is on already a lot of antihistamines and a lot of other meds. And she developed some kind of viral illness that really knocked her down and knocked her mast cells out of whack. And now, we’re trying to control her immune system and boost her immune system in a sense and control the mast cells. And so we’re using small doses of a powdered vitamin C so there are fewer fillers. And she does that ever couple of hours through the day and really has tolerated quite well. Whereas in the past, if she would just take a big dose of vitamin C, she would have some GI effects from that. So I’ve been doing that more. Again, dosing low and slow and building up from there every few days just to see how they’re doing. DrMR: Gotcha. Okay. That makes sense. And then where do you start? I want to give you the floor for however you want to guide people through starting into the therapy. And we have a mix of lay people who might be talking with their well-intentioned doctor who is trying to work with them. And we may have some clinicians who are fairly new to this. So whatever you want to share with us in terms of steering that process, please go ahead. But I always encourage people to go out there and actually get the diagnosis. I will just help target this issue better. You’ll have more options to choose from. But I think that where I start really has to do with how sick the patient is. So the patients are coming in. And they are disabled. They are reacting all day long. They have to wear masks to leave their house because they react to every scent, everything in the environment. If they can’t walk because they’re weak and they get rashes constantly and they have lost 30 pounds because of this illness—there are so many things that I see in my office. That’s not somebody that I’m going to start on vitamin C. Of course, at some point I’m going to get them on there. But that’s somebody who I need to get this under control quickly. And they’re going to need what we call H1 and H2 blockers. So those are pharmaceutical or pharmacologic treatments. Each one is a histamine blocker that blocks a certain histamine receptor in the body. And it blocks the histamine receptors that are often found in the respiratory tract. It’s actually found everywhere. But those are the drugs that people take for allergies very often. So the name brands like Claritin, Zyrtec, Allegra. We want to get them on something like that. And sometimes they need Benadryl or stronger drugs because their reactions are so severe that we’ve got to dampen it down so that they can tolerate it and get to the next step in treatment. So we’ve got to start with that. I’ll often combine that with something called an H2 blocker. So an H2 blocker is a histamine blocker. But it’s a specific type of receptor that is mostly found in the GI tract. And those are drugs like Pepcid and Zantac and Tagamet. We’ve been taught in the integrative/functional medicine world that a lot of these medications that reduce stomach acid are bad because they can affect absorption of our nutrients. They can affect bones, etc. But in this case, it’s very important. It’s a very important part of treatment. And what we hope is that patients are not going to need this for the rest of their lives. But it’s important. I have a lot of patients who are very fearful of using medications like this. And I just like to reassure that these are drugs that have been on the market for a long time. And they really do work. And when they’re combined together—so the allergy medicines along with the stomach acid reducers—they block the histamine from a couple different angles and can really help the response. DrMR: Yeah, I’m really glad that you made that comment because that is something that patients struggle with. And just my comment on this is, the H2 antagonists aren’t nearly as powerful at lowering stomach acid as the PPI medications are. And I think oftentimes patients are taking information illustrating negative side effects of long term use of PPIs, which are more powerful at lower stomach acid, and then conflating that with the H2 antagonists. I’m not sure. Would you agree with that? Would you modify that at all? DrTD: Yeah, no, no. You’re correct. DrMR: And the other thing I’m wondering—I’m noticing there tends to be more of a predilection for people having what appears to be presumed hyper acidity when they have histamine intolerance. I can’t say for mast cell activation syndrome because I don’t get that deep. But my thinking is some of these people with this facilitation of histamine may skew toward the higher end of acid production anyway. And this may be getting them back toward a more physiological normal ostensibly. DrTD: That’s possible. Actually, I’ve not really any data on that. So it’s hard to say. But there’s no question that a lot of mast cell patients have reflux. Or they’ve been diagnosed with reflux. So the assumption is that they do have some stomach acid that is refluxing up into the esophagus. And so this might help a little bit. But more importantly, it’s really helping the whole system. So what we know is that while this is working at the level of, let’s say, the stomach and the H1 blockers are working all over the body but also in the respiratory tract, that has a systemic effect. And so when histamine is blocked, what we hope happens is that the mast cells—it’s like a feedback. The mast cells hopefully will realize that they need to just calm down and not to produce more histamine. DrTD: And that’s why these things work. And ultimately, beyond blocking histamine, which is how we start—so either we’re going to start pharmacologically. Or we’re going to start nutraceutically. We’re going to use, let’s say, like you mentioned, vitamin C or quercetin. And there are a few others. I’ll go through some of the others that we use. But really, what we want to do ultimately is to stabilize that mast cell. And there are ways to do that, again, both pharmacologically and nutraceutically. And one of the most important, I guess I’ll call—it’s not a medicine. But one of the most important things that we use that can accomplish that is quercetin, which has actually been studied head to head with medication and has been shown not only to act as an antihistamine but also to stabilize mast cells. So again, ultimately, I just want to get those mast cells from degranulating, releasing all their contents. So quercetin is on one side but could be used really in many ways. And then on the other side, on the pharmacologic side, is cromolyn, cromolyn sodium, which can be a very helpful drug for a lot of patients. But I always have to make the distinction that what works for one person doesn’t necessarily work for another person. So I have patients where cromolyn was the life-changing thing for them. And they can’t imagine ever going off it because it really is something that is life saving. On the other hand, I have other patients who can’t tolerate it at all. And it’s the worst thing they’ve ever tried. So what I’ve learned is that you have to be systematic. You’ve got to try. You have to see what the response is. If it’s not tolerated, you stop. Or if it doesn’t do much after a few months, you stop and move on. And so in the mast cell stabilizing category, we have quercetin. We have cromolyn. So those can be tried. We have a drug called ketotifen which is compounded and can also be helpful. It has both some antihistamine properties and also mast cell stabilizing. And then there is a variety of other things that we can use. So if you want to talk the nonpharmacologic side of things, N-acetyl cysteine we often use as a way to both basically break down histamine, supports the liver, but also seems to have some stabilizing effects. And so I use that along with alpha lipoic acid. And then probably one of my favorite supplements, which is really directing the breakdown of histamine, is diamine oxidase which is an enzyme that digests histamine down in the gut. And we use that a fair amount to help both control histamine in the food, the histamine response in the gut, but probably has more far reaching effects systemically. So we do have a lot of options. And so again, if the patient is a milder case—now, when I say mild, it doesn’t mean that they’re not affected by this tremendously. But they’re in a position where I can trial and error this through. And I might start a little bit on the more natural side. That’s what I do. But in the patients that have more severe symptoms, I’ve got to bring out the big guns first, calm things down. And what we hope is, over time, we’re going to be able to figure out if they can tolerate some of these other things. DrMR: Right. That makes a lot of sense. And something interesting just to add here is a paper was recently published showing that a low histamine diet could actually increase the diamine oxidase levels, I believe it was after four weeks. And so I thought this was very good news because what this suggests is a low histamine diet may allow the resurrection of enzyme production. And part of this may be through healing of the intestinal lining. What may happen, and I’m drawing an inference here—but what may happen is a low histamine diet allows a degree of repair of the gut lining which produces the DAO enzyme to break down histamine. And after awhile on the low histamine diet, it seems that people may have a better ability to produce that enzyme. DrTD: Yeah, that’s fascinating. And it makes sense to me. DrMR: Yeah! Yeah, it completely makes sense. 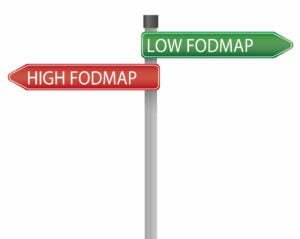 And this may also be part of the reason why at least one paper has shown a low FODMAP diet can lead to a reduction of histamine because a low FODMAP diet may also allow a degree of healing of the gut lining. DrTD: Yeah, and I think that we can say that about a lot of these diets out there. We can say that about the low lectin diet which has gained a lot of press lately. We think now that the lectins in a lot of these natural foods that we think are healthy are actually really breaking down the gut wall and causing more leaky gut. So diet is really critical for everything we do. DrMR: And regarding diet, would you say there are a couple diets that you find are more of your go-to or beneficial diets? DrTD: So this may be a little controversial. But I’ll tell you what I think is really working for a lot of my patients. And I think some of your listeners will be shocked. But one of the things that I believe is that as human beings we can very easily digest animal proteins and animal fats more than we can digest plant-based foods. And so I am now running a study. I have a number of patients who have entered the study. And we are looking at what I would call a carnivore diet, where they’re eating primarily…We’re talking grass fed, organic, good sources of animal protein. We’re not talking conventional feed lot stuff. And we’re finding that their mast cell symptoms, their histamines, and all that have gone down dramatically in just a very short period of time. And I think that speaks to the fact that the gut has time to repair because we, again, have more enzymes, more availability to break down the animal proteins and animal fats than we do, let’s say, plants. Plants have, let’s say, cellulose. We don’t, as humans, have cellulase enzymes to break that down. And while we’re trying to break it down, it’s roughage. I think that that can irritate the gut. And so going back to what you said about the DAO enzyme, it maybe builds up after the gut repairs. These are patients who initially really had maybe five or six foods that they could safely eat because they were so reactive to everything. And it felt like every week they had to eliminate another food because they would start reacting to that. And they started with meats that were fresh. No leftovers because leftovers will have more histamine. And so this is fresh meat, grass fed, cooked that day. And slowly, their symptoms started getting better and better. And they still know that leftovers, if they eat the leftover burger from the night before, it’s going to be a problem for them. But generally, their ability to get energy from their food, to feel good, to go through a day without reacting and without feeling bad and not breathing. One patient was having anaphylaxis every other day practically. And to go from that to breathing. What she was saying when she’d come into the clinic is, “I can breathe.” We underestimate what breathing does for us. And we take for granted what breathing does for us. So we don’t think of that. I’m sitting here talking. I’m not thinking about my breathing. But this patient went through every day thinking about her breathing because it just wasn’t right. She never felt good. And then she follows a diet like this. And then, wow! She’s breathing. So I really like to think about what, as human beings, we were really meant to eat if we look at anthropologic data, if we look at evolutionary data. And I think there’s no question. We can argue the political factors and the environmental factors separately because I know there’s more to the story there. But I think if I’m trying to heal my patients, honestly, eating foods that we’re meant to eat in this carnivore diet does seem to really make a big difference. DrMR: I’m glad you mentioned the carnivore diet. It’s something that I think our audience has probably heard about and is certainly open minded to, given the paleo and ancestral topics that we touch on oftentimes on the show. And I’ve commented before that I see the utility in the carnivore diet as another version of an elimination diet. And would it be something I’d want someone on forever? No, I’d like to have someone be on the broadest diet possible and have the least restrictions as the endgame. But sometimes you have to start down the road of a restrictive diet to allow healing to occur. And I see, again, the carnivore diet as being a way of cutting out many of the noxious compounds that occur in foods because many of the elimination diets we use are cutting out different groups of plant foods—low lectin, low oxalate, low histamine, low FODMAP, even low saponin. So a lot of these things are plant-based compounds. And I see the utility. And it’s interesting to hear that you’re seeing the same thing with this highly sensitive subset of patients on the MCAS spectrum. And is there a certain length of time that you’re having people generally do this before you start to do a reintroduction? DrTD: Well, I’ll be the first to say that I think that we’re all individuals. And I don’t want to go so far as to say that everyone should be doing this forever. Having said that, I think for some patients, they’ll benefit for much longer periods of time than we would use for a different type of elimination diet. There are some people out there who have done—they’re not my patients. But they talk about this in the media, that they’ve been doing things like this for 10 years or 15 years or 20 years, eating strictly meat only. And they seem healthy. And I can’t attest to that because I haven’t done their blood work or anything. But I think that it certainly doesn’t seem to be much harm for a lot of people. And I really don’t know what the right amount of time is. I will say that I’ve had patients do it for six months and after six months feel like they’re “cured.” And they feel like they can then take that diet and start introducing. And maybe they revert to a more paleo or primal diet where there are some plant-based foods. But they’ve figured out which ones they can tolerate. And so we’ve seen that. And we’ve seen patients who maybe could only do this for a month or a few weeks just because maybe it’s just too limiting for them. It feels like they’re losing out on life. They don’t have the variety that they want. There are lots of reasons why people choose to do it less amount of time. And there are people who are going to do it more. But I’m very intrigued by it. And that’s why I we need to study this and really know, what is the optimal amount of time? Should this be forever? Or should this just because used, like you said, like an elimination diet for a period of time? DrMR: Sure. And also I should mention. I think the audience already knows this. But I went through a very exhaustive review of the literature in my book about the pros and cons of fiber consumption. And I was quite shocked to see that while fiber is purported to be this health-promoting component of food, the data showing that higher fiber consumption correlates with decreased colorectal cancer, decreased cancers at large, decreased all cause mortality—it’s really split. And there’s really not consistent data showing that you need to have fiber in your diet in order to be healthy which I found comforting, knowing that some patients, especially with IBS and IBD, don’t do well on anything other than a small amount of fiber in their diet. So it was nice to see that at least when looking at the evidence objectively, you won’t be doing any disservice to yourself by reducing your fiber consumption. Now, these weren’t studies going all the way to the carnivore level of fiber consumption. But that trend is there nonetheless. DrTD: Yep. Yep. I think it’s fascinating. And I hope we can learn more about it. DrMR: Yeah, same here. Well, this has been a fantastic discussion. Is there anything that you’d like to mention in close? And then also, will you please tell people if you have a website or a book or about your clinic? Anywhere you’d like to make people aware of or direct them to, please mention that also. DrTD: Sure. Sure. So I think that the take-home message is really that if you’re listening and you’re not sure what’s going on and you’ve seen different doctors and you’re on a path, you’re trying to get better. But you just don’t know what’s going on. Talk to your doctors about testing you for this. Educate them. Have them read about it. I write a lot. Dr. Afrin and I both write a lot on this. We’ve been blogging. We have a Facebook page that we’ve been writing on as well. Our whole goal is to educate. And so we’re here to help physicians out there who are trying to help their patients and don’t know where to go. And I’m trying to direct those patients to get the help that they need. So I’m always advocating for patients to help themselves. It’s unfortunate that sometimes patients have to do that and can’t always rely on their physicians. And physicians can’t know everything. So go down a path. Talk to them. Provide information. My website is www.DrTaniaDempsey.com. My Facebook page, Dr. Tania Dempsey. And there’s a lot of information. We have a weekly “Ask the MCAS Experts” question and answer time that we’re blogging on. And we have people post questions on Facebook. And Dr. Afrin and I prepare the answers. And that’s been great. We’ve had a great response from that. And we’re really just trying to help and get the word out. So that’s how you find me. And that’s my story. DrMR: Awesome. Well, thank you. And we’ve referred a handful of patients over to your clinic because, like I’ve said on the podcast before, if you don’t feel like you’ve given this topic adequate study and knowing the meticulous nature that some of the testing can require and how sensitive patients can be and how diligent and meticulous you have to be with trying to craft their program, I think it’s not a bad idea to refer to an MCAS specialist if you’re highly suspicious. 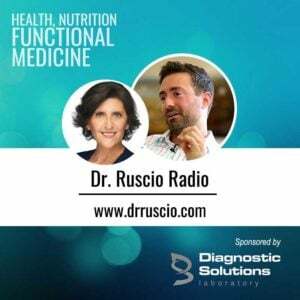 But hopefully, this podcast has given you some ammo to arm you in the therapeutic process if you want to undergo that yourself or guide your doctor to it and also given you a clinic to plug into if you’re in need of some help and a referral. So Tania, thank you again for taking the time. It’s been a pleasure chatting with you. DrTD: Thank you. It’s been my pleasure. Thanks for having me. DrMR: My pleasure. Take care.